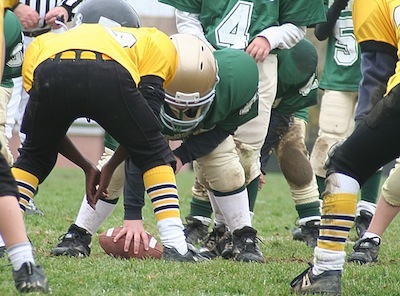 Although team names are often assigned by the league or influenced by sponsorships, in some cases, the coaches and players are able to select their team name in a fun—but challenging—process. Encourage the team to brainstorm what type of image they want to project. For instance, do the teammates want to name themselves after a professional team (i.e. Rockies)? Do they want the name to be quirky and funny (i.e. Flying Monkeys)? Do they want it to be intimidating (i.e. Dragons)? Should it be a number (i.e. 76ers or 49ers)? Should it be something completely wacky (i.e. The Get Up Kids)? Or named after a movie (i.e. The Avengers)? Before narrowing your list of options for a team name and selecting finalists, make sure all players are on board with the angle they want to take. If the team has a sponsor, yet the sponsor is still willing to let the players select the team name, always be sure to include the sponsor in the team naming and color-selecting process. This shows that you value the sponsor’s input and value the sponsorship as a whole — it’s a good sign of respect. After your child’s team has decided on a theme for the name, the coach may want to put together a committee to narrow down the potential names. This committee may include the team captains or just a group of players that the coach wants to make the decision. This committee will then take input from the rest of the players and put together a list of five-to-seven team names, asking players to vote on their top three. Whichever team name has the most votes will become the official team name for that season. Most youth sports jerseys or uniforms consist of a primary and a secondary color. Again, the players should follow the same process they did to select the team name when choosing the colors — brainstorm, consider sponsorships and put together a list. Brainstorming is important here because the players can either choose to do standard colors (i.e. a white or primary color with any combination of secondary colors) or more of an alternative color for their uniforms (i.e. a primary color/ anything other than white). Going the latter route will certainly make their uniforms unique and give them the ability to stand out more within their youth league, however this route should be taken with caution. That’s because the wrong combination can make a uniform look poor and sloppy. In the case of a youth team that has a sponsorship, it’s always a grateful gesture to use the sponsor’s brand colors on the uniforms. One thing to keep in mind when you’re helping a team select its name and uniform color is to make sure whatever they decide is something they’re proud of. If the team chooses a name just doing something for the sake of being different, that’s not always the best course to follow. Your child should be proud to play for whichever team name is decided and proud to wear a uniform with whatever color scheme is chosen. Brandon Capaletti is the vice president of Cisco Athletic, a company that designs, produces, and distributes custom athletic apparel and uniforms for a variety of sports.